You are investing a lot of energy, money, and valuable time into your event. And hiring the right DJ service will make it all worthwhile! 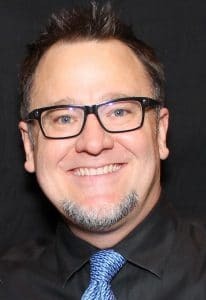 With a strong background in the hospitality and entertainment industry, and over 20 years specializing in wedding and events…I have the knowledge, skills, experience, creativity, and the passion to help create an awesome, one-of-a-kind, unforgettable entertainment experience for you and your guests! “I believe that my experience, positive attitude, playful humor, professional delivery, and passionate commitment to service… help me to create a memorable connection with my clients & audiences. I am a dedicated professional who strives to exceed expectations with every event that I do. Aren’t all DJ’s the same? Nope. Some don’t take requests, some don’t talk, some talk too much, some play their music too loud, some don’t play the right music for your event, and some… some don’t even show up at all. This is usually the case with unprofessional, inexperienced, low budget DJ services. But fortunately, there are is a growing number of professional Wedding DJ services every year. They charge more…but for very, very, good reasons. If you are looking for a dependable, stress free, full service, thoroughly enjoyable music and entertainment experience… with someone who will go above and beyond to make sure your event is unforgettable…then you are in the right place! I offer full service entertainment packages starting at $1,795 + gst (based on availability). Every event is unique, and every client has their own individual vision of what they want their event to be. Prices also depend on the type of event, location, day of the week, time frame, etc. Let’s have a chat. Once I know more about you and your ideas, wants, and needs…then I can put all those details together in a package that will suit you perfectly! The first 100 km is on me. After that, I charge .75c per Km. If your event is more than one hour away there may also be an overnight accommodations fee (let’s chat, once I know more I can give you a proper quote). I travel wherever my clients need me to be! Whether here in Alberta, another province, or another country. One-of-a-kind, personalized, experienced DJ/MC entertainment services: Stress free event planning, Full range sound, Dance lighting, Awesome up-lighting, Surround sound, Smart sound, Video entertainment package, Superfun photo booth, Interactive fun, backup equipment, and whatever it takes to help make your event the best it can be! That’s nice of you to ask. It’s blue. But please let’s just focus on you. If you have some questions of your own…go to the contact page so we can get the conversation started.